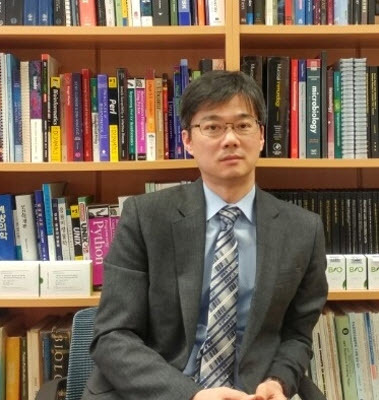 According to the National Research Foundation of Korea, Professor KO Gwangpyo of SNU’s Graduate School of Public Health discovered that bacteria in a hereditary vaginal microbiota may influence obesity in women. The research team assessed 542 Korean females, including twins, which share greater genetic links than non-twin siblings, in order to provide optimum results for the experiment. Findings showed that identical twins, which share the greatest genetic links, had the most similar vaginal microbiota, revealing that vaginal microbiota are hereditary. Among vaginal microbiota, the Prevotella bivia bacteria was most heritable. The single gene mutation of the IL5 (Interleukin 5), an immunity gene, was found to determine the presence of the Prevotella bivia. The research team discovered the influence of the Prevotella bivia on obesity. A mouse that was provided a high-fat diet for 12 weeks in order to induce obesity was found to have an increase in the Prevotella bivia bacteria. When the vaginal microbiota of the obese mouse was transplanted into a non-induced mouse, endotoxins -- composed of lipids and polysaccharides -- were released into the bloodstream. An increased load of endotoxins can eventually be a cause of obesity. This was the first study to show that vaginal microbiota such as Prevotella bivia can be an indicator for obesity and metabolic diseases. The topic of adult obesity is becoming a popular subject of academic research in Korea, ever since it was found that obesity among parents affects the child’s intellectual and social ability. NICHD (Eunice Kennedy Shriver National Institute of Child Health and Human Development) examined approximately 5000 children born between 2008 and 2010 in New York. The child’s first development examination took place at four months, and six more were taken through age three. Parents that were involved in this research also provided information on their health and weight before and after their pregnancies. According to the NICHD, children with obese mothers were nearly 70% more likely to fail the test indicator on fine motor skill compared to children of non-obese mothers. Children of obese fathers were 75% more likely to fail the test’s personal-social domain -- an indicator of how well they were able to relate to and interact with others by age three. Children with two obese parents were nearly three times more likely to fail the test’s problem solving section by age three. It is not known why parental obesity might increase children’s risk for developmental delay. The authors note that animal studies indicate that obesity during pregnancy may promote inflammation, which could affect the fetal brain.